Ginger High- Books R Us: REVIEW AND GIVEAWAY OF SUMMER IN THE SOUTH BY CATHY HOLTON. REVIEW AND GIVEAWAY OF SUMMER IN THE SOUTH BY CATHY HOLTON. I like to welcome Cathy Holton to Books R Us. Cathy is the author of her novel Summer in the South: A Novel .Thanks for stopping by. After a personal tragedy, Chicago writer Ava Dabrowski quits her job to spend the summer in Woodburn, Tennessee, at the invitation of her old college friend Will Fraser and his two great-aunts, Josephine and Fanny Woodburn. Her charming hosts offer Ava a chance to relax at their idyllic ancestral estate, Woodburn Hall, while working on her first novel. But Woodburn is anything but quiet: Ancient feuds lurk just beneath its placid surface, and modern-day rivalries emerge as Ava finds herself caught between the competing attentions of Will and his black-sheep cousin Jake. Fascinated by the family’s impressive history—their imposing house filled with treasures, and their mingling with literary lions Fitzgerald, Hemingway, and Faulkner—Ava stumbles onto rumors about the darker side of the Woodburn's legacy. Putting aside her planned novel, she turns her creative attentions to the eccentric and tragic clan, a family with more skeletons (and ghosts) in their closets than anyone could possibly imagine. As Ava struggles to write the true story of the Woodburns, she finds herself tangled in the tragic history of a mysterious Southern family whose secrets mirror her own. I read the book while I was on vacation in Florida and I finished the book rather quickly lounging by the pool. I enjoyed the way the history of the Woodburns was incorporated in the story and it helped me follow the storyline better. There was a little romance, mystery, humor, intrigue and a little paranormal all rolled up in a great novel. All the characters were developed fully and they interacted well together. I got a kick out of the two great Aunts Josephine and Fanny and the way they interacted with Ava especially during Toddy Time (cocktail hour). Ava had writers block in the beginning of the book and as the story went on the mystery behind the family helped spark Ava's writing. I recommend the book and is it a great summer read. Would you like to win a copy of the book? Thanks to the author, I can give away one copy of the book! Leave your name and email! 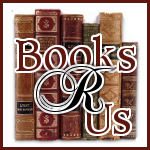 Follow Books R Us on Twitter. Like Books R Us on Facebook. Contest ends on July 23rd at 11:59pm Eastern. Winner be emailed and will have 48Hrs to respond or a new winner will be picked. Disclaimer: I was given a free copy of the book for my honest review and I was not compensated for my review. Sounds like a good book! Thanks for the review and giveaway! I've been wanting this one for a while now. I'll keep my fingers crossed! Thanks for the giveaway! What an interesting story. I would love to read this book. Thank you for sharing and the review, as well as the lovely giveaway opportunity. Thanks again for the fun! I would love to read it, it sounds really good. Sounds great...thanks for chance to win it! Thanks for the review and giveaway! I love books set in the South (I kinda live there). I'm an old GFC follower. This sounds like a really good book! Thanks for the giveaway! I would love this book that has a little bit of everything, while relaxing outside in the early morning before it gets too hot! I follow you with Twitter (Carolee888). I like Cathy on Facebook. Sounds like a great read! I liked Carol and Books are us on FB too. I'm looking for a great summer read. This sounds like a great book.Please enter me in the giveaway.Thanks for the giveaway.augustlily06(at)aim(dot)com . I keep running across this book!! Very intriguing. Already follow you. BUT i do not tweet, yet. Summer in the South sounds like a great summer read! Have added to the TBR (oops, starting to lean!) list. Separate entry, as requested, for Like Books R Us on Facebook. Separate entry, as requested, for Friend Cathy on Facebook!